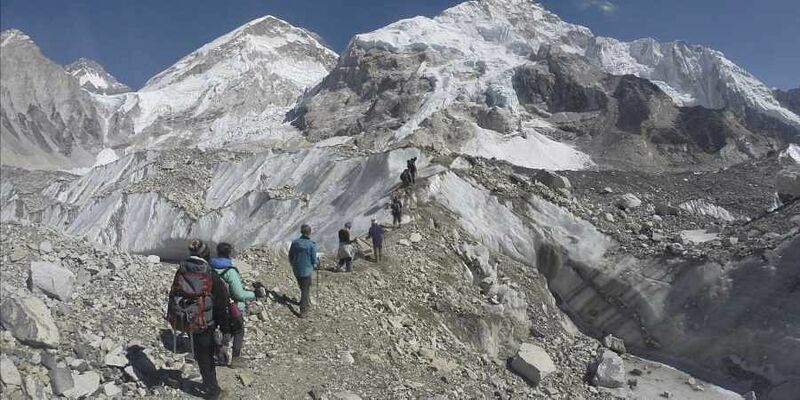 KATHMANDU: At least nine climbers including five South Korean nationals have been killed in a massive avalanche which devastated their camp on Nepal's Mount Gurja, the expedition organiser said Saturday. The unexpected violent snowstorm buried the climbers at the base camp at an altitude of 3,500 metres near the south face of Mount Dhaulagiri in western Nepal's Myagdi district on Friday evening, said Wangchu Sherpa, the Managing Director at Trekking Camp Nepal. Five South Korean climbers including team leader Kim Chang-ho from 'Koreanway Gurja Himal Expedition 2018' were killed along with their four Nepali support staff in the incident, Sherpa said. Other deceased South Koreans have been identified as Lee Jaehun, Rim Il-jin, Yoo Youngjik, and Jeong Joon-mo, The Himalayan Times reported. Their bodies were spotted among the wreckage of the camp by a rescue team. However, the identities of others killed in the incident were not immediately known. Mountaineering is a major source of income for Nepal. Falling from cliffs and mountains are among the most common causes of death during expeditions. In 2015, an avalanche triggered by a powerful earthquake killed 19 climbers and injured 61 others. A year before, 16 sherpa guides were killed in an avalanche.